Alcoholism is an epidemic that effects many people around the world. In the United States, just 17.1% of people abstain entirely from drinking alcohol. This means that a whopping 82.9% of Americans drink alcohol in some capacity and with many of these citizens it can lead to alcohol abuse. These alcohol statistics as well as those discussed in detail below are often shocking, but it is important to educate oneself on these statistics as a method to encourage safe consumption of alcohol or sobriety. When it comes to alcoholism, the prevalence and mortality rates are two statistics of importance. The percentage of Americans aged 18 and older who are considered to be regular drinkers (consume more than 12 drinks per year) is 51.5%. Shockingly, the average American consumes about 152 ounces of alcohol per year and an estimated number of 15 million Americans are effected by alcohol abuse or dependence. There are two main statistics regarding mortality and alcohol. The first is the number of deaths from alcoholic-related liver diseases which was 15,990 last year. The second is the number of alcohol-induced deaths including murder committed while intoxicated and car accidents while over the legal limit which was 25,692 last year. Binge drinking is defined as consuming more than five drinks within a two hour period. 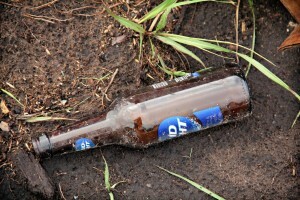 Of men aged 18 and older, 43.1% admit to binge drinking at least once within the past year. About 5.78% of men admit to drinking daily and 35.8% drink alcohol at least once per week. The percentage of women who admit to binge drinking within the past year is much lower than men at just 28.8%. Sadly, 2.45% of American women admit to drinking every single day and 20.5% drink alcohol at least once per week. When many Americans think about alcohol abuse or binge drinking, they immediately think about college students. In America, 6% of college students are considered to be dependent on alcohol and a horrifying 25% of college students say that they cannot remember what they did or where they were when drinking. Alcohol dependence is defined as being unable to control consumption and experiencing withdrawals when unable to consume alcohol on a regular basis. Each and every year in the United States, about 600,000 college students are injured unintentionally while under the influence of alcohol. Sadly, 1,700 of these students are killed each year in an alcohol-related death. These numbers tend to be highest at universities in Wisconsin and lowest in Utah, West Virginia, and North Carolina. If you or a loved one struggles with alcoholism, it is vitally important to get help. Alcohol abuse can lead to serious consequences including death and it is not something to be taken lightly. Fortunately, at Sober Solutions we can help connect you with a rehabilitation program that is a good fit for you and your lifestyle to get back on track to living an alcohol-free life.